Species Description: This species evolved from spleaea Panthera but it is extremely rare as no skeletons exist of this except now last summer 2 lions were discovered with hair and intact organs and entire skeleton . They actually have parts found in Alaska and western Canada, and that’s it. 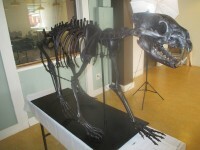 Various studies report varying sizes as some report it’s bigger than Spelaea and smaller than American lion , which makes since Cave lions of Europe never made it this far, however most report smaller lions at 1.8 meters long with tails of 37 inches and height of 44 inches with weight of over 550 lbs which still is large . 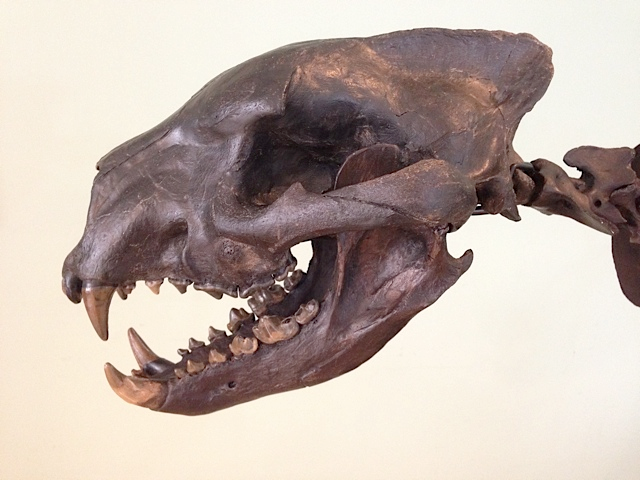 Mine is smaller than atrox by a lot, but while some skull differences of European Cave lion and American lion , the American Lion can be traced to this species Actually DNA is exact on all so all could be one species just found in different parts of the world . These migrated across the land bridge to USA in Alaska and Canada so it’s the only Lion to do so thus divergence into American Lion . In fact in early studies vereshagini is mentioned as American Lion Atrox . 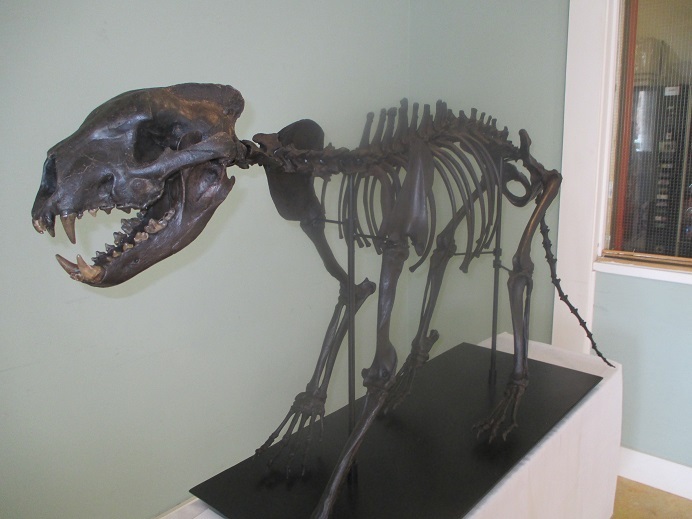 Skeletal remains are space with no full skulls found and only 2 baby lions in Russia known . These were found with hair, skin , organs due to all in permafrost . This is the rarest lion anywhere as I have a collection of rare older lions also . 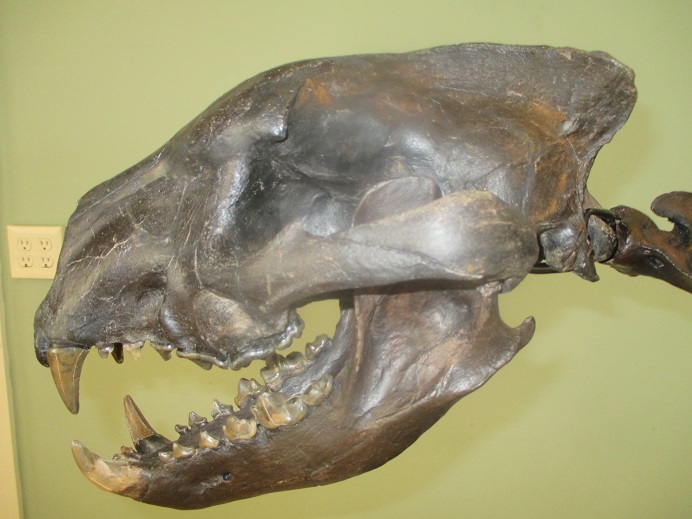 Species Description: Unknown MORE THAN RARE (NON-EXISTENT except this one) Extinct Species of Bear- Dog of Miocene existing for a few million years from 23-19 MILLION years ago . It was assigned to amphicyonids. While initially related to bears it is now found they may be basal caniforms . This is one of the most unusual carnivore . They were as tall as a black bear , and moved here from Eurasia in early Miocene . It weighed 150 kg and combines features of canine and feline predators . It resembled a giant dog with a flexible cat-like body . These bear-dogs with long limbs and specialized in chasing down prey on the open plains. To my knowledge nothing has been found yet until now on this .This is of great scientific importance to everyone, and unlimited value. A similar beardog, Borocyon Robustum was described in 2008 only so very recent partial finds. 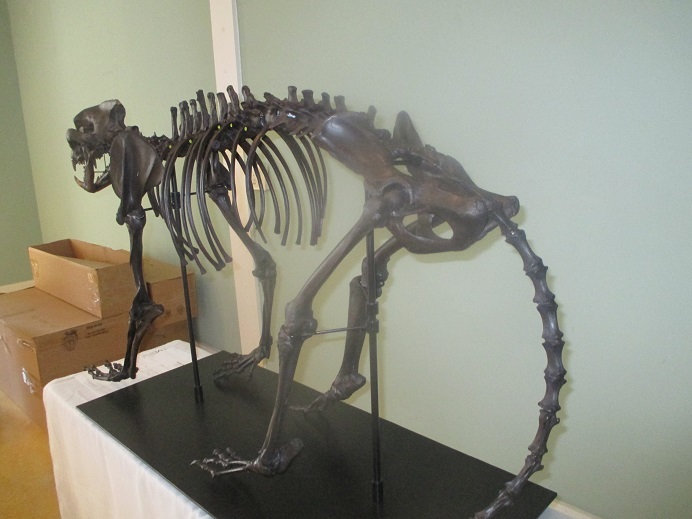 Species description : Largest Saber-tooth Cat of all time (Bigger than Smilodon ) with male members reaching 17-18” long and over 1 ½ times the size of a Bengal Tiger. They hunted in groups and were the most powerful killer of all time with large heads and 5 inch sabers from Europe , Africa and Asia or then Eurasia. Item description & rating: 1-10 9.5 Unbelieveable OF HIGHEST QUALITY Rare SABER-TOOTH Asian Smilodon over 95% original including 100% of all teeth. This cat has Sabers 3.25“ Long and all teeth 100% original to this cat. And one of best saber-tooth cats you will ever find , and was found by a farmer many years ago and has in the USA for many many years. This is an adult and only this species is this size. 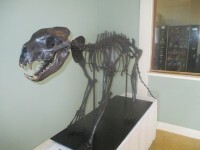 They are so rare from this area but this was obtained so long ago, and was assured it was this species. The quality is amazing on this. The bone is super color with beige throughout and the teeth are so magnificent with all teeth original. Values a have grown a lot. Basically no restore except for small amount on sagittal crest and back of one lower jaw. Prep was done by the best prepper in the world. Pictures do not do this cat justice at all .This piece will be displayed at many events for true appreciation. If you want to talk about it please call 706-235-2694. Available for museums. Bone quality is so good it makes me cry on this one. Great ones are so hard to get anymore. IM known for them .. Item rating and description:1-10 ***10*** Amazing Terror Bird147 Pieces - 2 scapula-coracoid piece 3.5” long, 4 beak pieces -one over 5.5” long,1 piece of skull under eye orbit with partial eye orbit, and 3 skull jaw pieces , and 2 4” leg bone piece .These are all original and you can see the struts so typical of birds . I can’t even imagine owning these pieces so I can’t give them up . Whilenot for sale I wanted to show you how this bird looked . Out of a total of 41 bones and bone fragments officially known from the entire US including only 1 from Texas and the rest from Florida , I own 18% of all known bones . All the rest are in a museum at an university While only pieces I have many skull pieces and jaw plus the beak., so it’s simply amazing . You will never see these anywhere else . In so proud to own these . Species description: Largest Therapod Meat Eating Jurassic dinosaur ever often reaching up to 35 ft long and as long as a bus . Its large skull with movable joints in the skull allowed it to bite huge bites to devour its prey which included the largest of sauropods often reaching over 70 ft long .It did hunt in groups and was probably the greatest predator that ever lived even greater than TREX. It had a S-shaped bulldog neck and each powerful arm having 3 clawed fingers and one large one only . These did not rejuvenate as teeth did. It weighed 2 tons at least . Allosaurus hands were way bigger than TREX . Item Rating and Description :1-10 9.6 100% Original Allosaurus Complete Centrum 5.5” Caudal Vert that was never Broken .This is from one of the most aggressive ferocious terrible beasts to ever roam the earth. No breaks , no crack fills and no resto. It is high quality, and found with other allo items . How you can tell is size, and one side very high above the ridges and other side like a deep canyon from ridges. Only Allosaurus had this . I believe its adult tail ,higher up on tail . This is a rare piece and my first this size ever . Allosaurus material due to site closures is fast dwindling. This piece as a nice black color so usual for this area . I have dug in the area for many years, but it’s been awhile. It really is a great example of Allosaurus . It was prepped by me. . It turned out great but not much to do just remove outer layer. Species description: This horse is so small it barely reached 14” tall or a small dog . These herbivores that lived from grazing on foliage, fruit, herbs and berries . This animal is very rare compared to other fossils in the world. They had 4 toes front and 3 in back. IT looked like a modern horse except a lot smaller. Forefeet and hind feet had pads similar to dogs .It had a short neck, back raised in slight arch and teeth had three incisors , one canine four premolars and three grinding molars on each side of jaw . Item rating and description: 1-12 15 AMAZING FIND-one-of-a Kind Eohippus Dawn Horse Skull 7” Long Highly Original . While small great things come in small packages, this horse is the most sought after herbivore skull as its never found . And in this excellent condition is just so unbelieveable ,I count my blessings every day . It so amazing I can’t sell it since it’s so beautiful. While the top is compressed down, the entire top has original bone with only crack fills due the compression. It was unable to be inflated for fear of breaking the skull so I decided not to take a risk with nature’s spectacular splendor . The lower is original except for the incisors –as these are never found –too small and fragile plus the backs but so expertly prepared it looks 100% . Anyway no one should care about imperfections on an animal no one has. That is like saying well your dire wolf La Brea isn’t perfect so it can’t get huge bucks at 90% which is so ridiculous as these people really can’t appreciate anything. So hopefully your not one of those people who can’t appreciate ANYTHING AS NOTHING IS PERFECT IN NATURE ESPECIALLY AN ANIMAL that was during the Eocene when very few fossils survived . This period 50 Million years hardly any material is ever uncovered after the dinosaurs when Terror Birds ruled and ate these guys for snacks. This one survived for posterity, and for us to admire while Terror birds just aren’t found , so little horsey you made it through 50 million years. 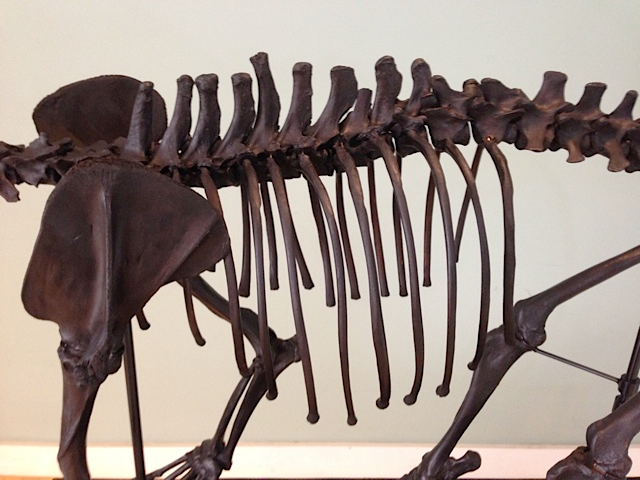 The beauty, detail, and bone quality of this animal is simply fantastic. I would say 90% of skull is original. This starts my horse bonanza as you’ll never see a line of horses as here as I have almost all that have been found in a line up so amazing Just one glance I had to have it as it is so outstanding. No one except one has this, and unless you wish to pay 2 million dollars , I dare to say there is nothing like this anywhere. Here it is fossil lovers!!!! Species description: One of largest carnivore during dinosaurs age with 12” corner teeth with roots and up to 49 ft long and 15 ft high that lived in western USA – largest in the United States that ever lived and killed and scavenged prey. Description and rating : Find of the Century – TREX TIBIA(3” )long, FIBULA, and RARE MIDDLE NARROW METATARSAL.THESE ultra rare bones are top of line bone quality , huge size and no restoration at all. IT has crack fills but these bones have been part of my collection for at least 7 years. I would say all 3 are perfect. The tibia and fibula are from the same REX , while the metatarsal is hardly ever found as this is the thin one down the middle and is so narrow it never survives except this one . It takes 2 persons to lift this one so it was difficult to work with as most bones this size has multiple natural breaks. All 3 you can’t say n enough about them . I will not sell these as they are the cornerstone of my collection, and can never replace them even though IM working on a TREX Tibia now I will sell and it’s a great one so ask about it. The bone quality on these is simply amazing. LOOK AT THESE . They are so awesome they literally bring tears to my eyes . 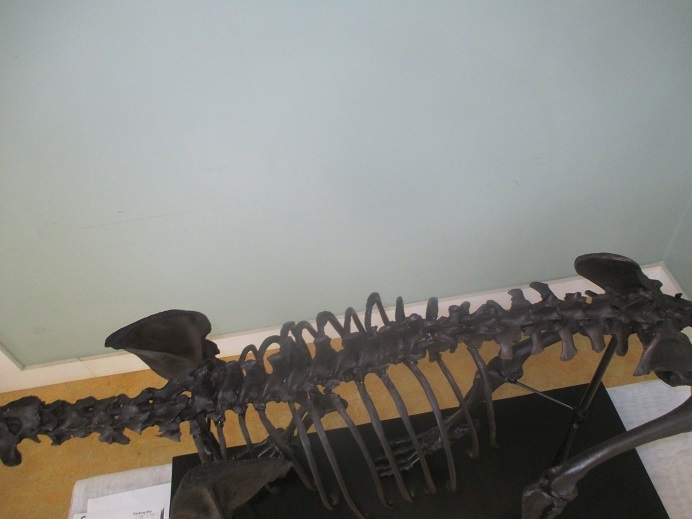 Species description: Stegosaurus is an armored dinosaur and means “narrow faced roof lizard “ about 23 ft long noted for large dorsal plates used for temp regulation and mating , and tail spikes in back for defense . IT was a herbivore , and little known it is the longest living dinosaur over Jurassic and Cretaceous . It was found in late Cretaceous Indian soil. It is a weird looking dinosaur compared to others .It is considered the longest living dinosaur ever due to India having this creature up to 65 MYA so it is at least 100 Million Years Old since it first appeared. Allosaurus was the largest Jurassic Therrapod Meat Eating dinosaur ever reaching up to 35 ft long –as long as a bus . Its large skull with moveable joints in the skull allowed it to bite huge bites to devour its prey which included the largest saropds over 65 ft long .It did hunt in groups It had an S shaped bulldog neckand each powerfularm having 3 clawed fingers with one large claw. It weighed 2 tons. Description and Rating : 15 Original One-Of A Kind Death Struggle with Stegosaurus 21’x13”Dorsal Plate & Juvenile Allosaurus Complete Scapula 13” (Shoulder Blade) So many imaginery ways these two could have died come to mind as both died together in a struggle of epic proportions . I wish I could have witnessed this myself . Oh wellborn to late I guess . Only dino nuts would say this . Bone Quality is top of the line. This may be the only one like this anywhere but know few like this exist in the world , and only one of its type I ever saw for sale It is dark gray-black,red which is typical from this area . 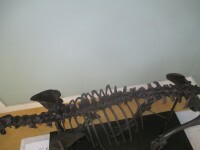 The Dorsal Plate was glued back together but very little restoration except crack fills on either . 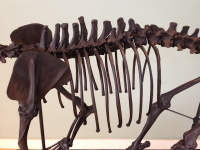 The Allosaurus shoulder blade has some on top of bone, and dorsal plate is almost without restore . The plate shows the connection area ,and a design so typical of a very rare plate. 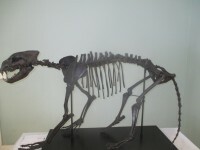 It is complete and from a juvenile . I do not sell stegosaurus material because it is not found for private collections hardly ever and is much more valuable than REX, Allosaurus , or any other dinosaur so I’m gladly keep this if not appreciated . I have looked for stegosaurus items for years and have actually keeping this for now . It I have a tail spike, and a rare dorsal plate from its grandfather miosi , and consider this the most valuable of all . I don’t sell those pieces . The quality is so good with virtually no or minimal restore as crack fills but how many pieces tell a story . It is as unbelievable find.It also was in the hardest matrix I ever had to clean off , so it’s a labor of love . I appreciate this fossil so much it is at top of anyones’ collection. Just admire this!!! 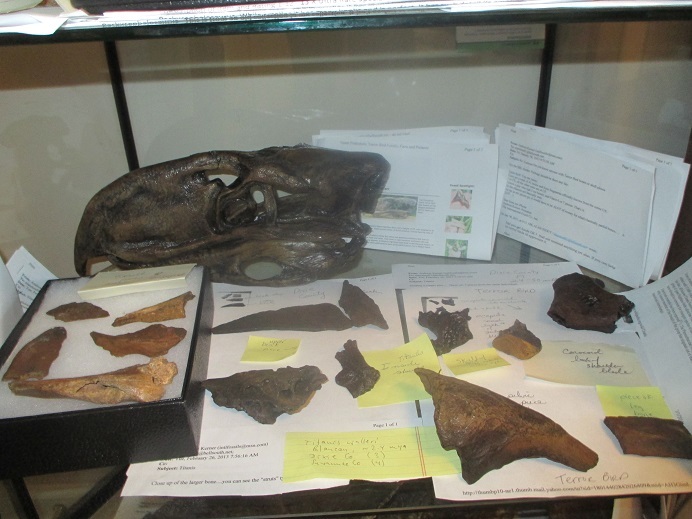 an abundant food supply of grazing ungulates including camels and oreodonts. Using their highly developed saber-teeth they would likely sever the blood supply in the neck of their prey in the initial attack.